A New York Court has decided in favor of a mesothelioma victim who says she was exposed to asbestos while working for the Westchester County Department of Labs and Research (WCDLR) from 1975 to 1979. The victim, who was diagnosed with pleural mesothelioma decades later, claimed that several companies were negligent for having supplied her employer with asbestos-contaminated equipment. The companies argued that the victim had no proof that their equipment was the cause of her condition. A Saratoga County judge agreed with the defendants, and dismissed the case. The victim appealed. After reviewing the case, the appeals court reversed the decision, stating that in asbestos cases, the asbestos companies have the burden of showing that they did not cause the victims mesothelioma. In the original case, the companies argued that too much time had passed since 1979, and they no longer had records showing that they sold asbestos-laden products to WCDLR. To this, the appeals court asserted that the companies claim that they did not have any documentation from the 1970s was not the same as proving they did not sell asbestos-tainted products to the victims company. Thanks to the reversal of the original decision, the mesothelioma victim and her family can proceed with the case against the companies, and hopefully get some justice. 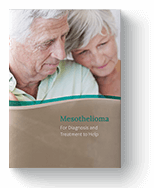 Mesothelioma is a cancer of the mesothelium. This is a thin lining (membrane) that covers the outer surface of most of the body’s organs. There are two main types of mesothelioma: pleural mesothelioma and peritoneal mesothelioma. Pleural mesothelioma, which occurs in the lining of the chest cavity & lungs, is much more common than peritoneal mesothelioma, which occurs in the abdominal lining. When mesothelioma develops in the pleura, the layers of the pleura thicken and press inwards on the lung. Fluid may also collect between the two layers. This is called a pleural effusion. Pleural thickening and effusion causes pain in the side of the chest or lower back, shortness of breath, cough, fever, excessive sweating, fatigue, weight loss (without trying), trouble swallowing (feeling like food gets stuck), hoarseness, and swelling of the face and arms. Though there is no cure for mesothelioma, first-line treatments such as surgery, chemotherapy, and radiation could help extend life—especially if the disease is caught early. If you have been exposed to asbestos, please contact your doctor immediately. "O'Connor v Aerco Intl., Inc." Justia. Justia, 06 July 2017. Web. 23 Jan. 2018. "Signs and Symptoms of Mesothelioma." American Cancer Society. American Cancer Society, Inc., 2018. Web. 23 Jan. 2018. "What Is Pleural Mesothelioma?" Macmillan Cancer Support. Macmillan Cancer Support UK, 30 Apr. 2015. Web. 23 Jan. 2018.